Based in Guelph, Ontario, Vish Khanna has played in several bands and is an Assistant Editor at Exclaim! Magazine, where he currently oversees the Comedy section. He was a Host and Producer at CBC Radio 3 and is an on-air columnist for the CBC Radio One program, The Next Chapter with Shelagh Rogers. He writes a monthly arts column for the Guelph Mercury Tribune. His written work has also been featured in Pitchfork, NOW, the A.V. Club, the Globe and Mail, Spinner, Huffington Post, Signal to Noise, Aux, Eye Weekly, Chart Attack, Off the Shelf, and more. He began organizing and promoting concerts in Guelph in 1997 and continues to do so sporadically (including December’s annual Stay Out of the Mall mini-festival), under the moniker KYEO, which is a reference to a Fugazi song of the same name. He once co-hosted CFRU 93.3 FM‘s The Mich Vish Interracial Morning Show! with his wife Michelle. 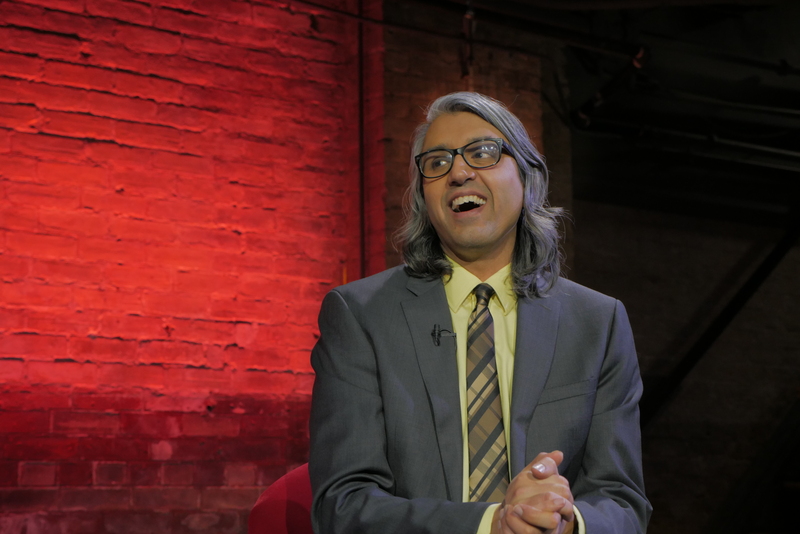 He’s a co-organizer of the Long Winter arts series in Toronto, where he hosts a monthly talk show called Long Night with Vish Khanna. He also currently hosts a renowned topical interview podcast called Kreative Kontrol.